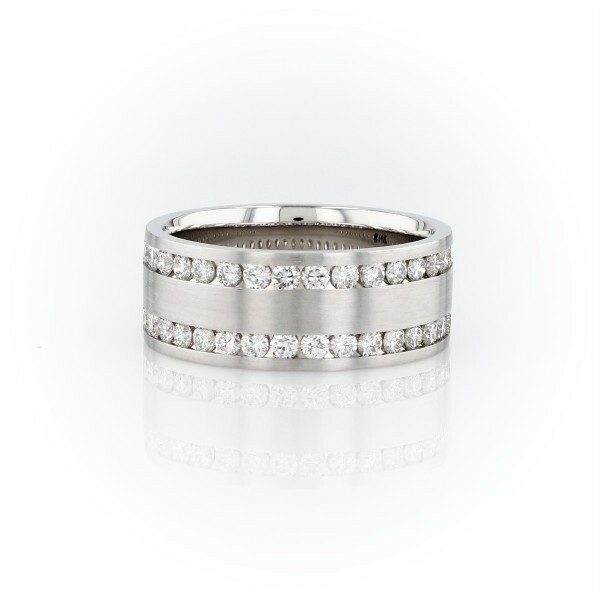 Show your signature style with this double inlay diamond wedding ring. Crafted in classic 14k white gold, this substantial, 8mm-wide ring features a brushed finish and two half-rows of round diamonds for a subtle and unique brilliance. Curved inner edges allow for a comfortable everyday fit.